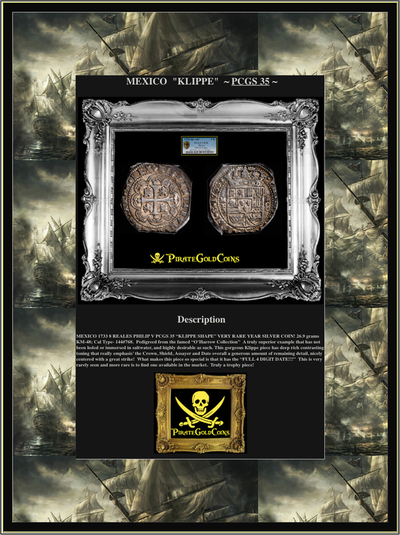 MEXICO 1733 8 REALES PHILIP V PCGS 35 “KLIPPE SHAPE” VERY RARE YEAR SILVER COIN! 26.9 grams KM-48; Cal Type- 144#768. Pedigreed from the famed “O’Harrow Collection” A truly superior example that has not been holed or immersed in saltwater, and highly desirable as such. This gorgeous Klippe piece has deep rich contrasting toning that really emphasis’ the Crown, Shield, Assayer and Date overall a generous amount of remaining detail, nicely centered with a great strike! 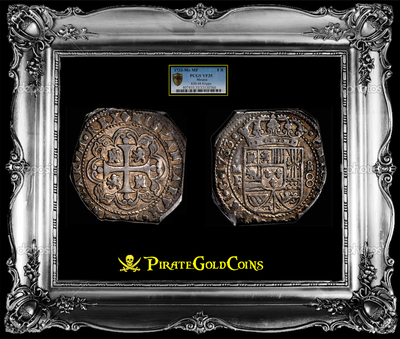 What makes this piece so special is that it has the “FULL 4 DIGIT DATE!! 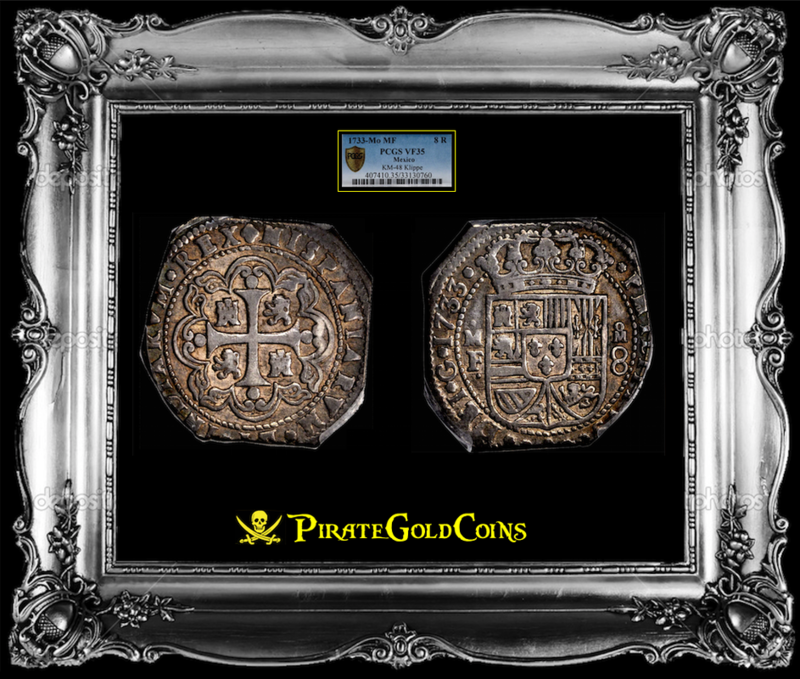 !” This is very rarely seen and more rare is to find one available in the market. Truly a trophy piece!